Innovia Group, the global leader in high-tech film products for packaging and industrial applications and banknotes is to be sold to Canadian firm CCL Industries in an agreed deal worth €810 million (CAN $1.13 Billion). Headquartered in Wigton, Cumbria, the Innovia Group employs approximately 1200 people and is currently owned by The Smithfield Group. Innovia Security, its polymer banknote division, has produced c.50 billion polymer banknotes for central banks around the world, representing over 99% of all polymer notes in global circulation since their introduction in Australia in the early 1990s. Its Guardian® substrate is used in 24 countries and provides significant benefits and cost savings to central banks. In its Films division, Innovia is a leading global developer and manufacturer of speciality labels and packaging for a range of technologically advanced industrial applications. It is the global market leader in pressure sensitive labels and tobacco overwrap. Its highly differentiated, proprietary manufacturing methods deliver enhanced product and operational performance for customers, providing a combination of enhanced security and brand integrity. CCL is the world’s largest specialty label business and is publicly quoted on the Toronto Stock Exchange with a market value in excess of CAN $8 billion. It employs more than 20,000 people and operates from 156 production facilities across 35 countries on 6 continents. CCL has a complementary presence in the markets in which Innovia operates, with capabilities in security printing, polymer extrusion and surface engineering that are deployed across all business segments. Innovia’s pre-eminent R&D and high technology capabilities provide a platform for CCL to grow and further enhance its offer in these markets. The transaction is subject to regulatory and other change of control approvals and customary completion procedures with closing expected by the end of the first quarter, 2017. The sale follows a highly successful period for Innovia during which it has substantially enhanced the capabilities and performance of both its film and banknote businesses. 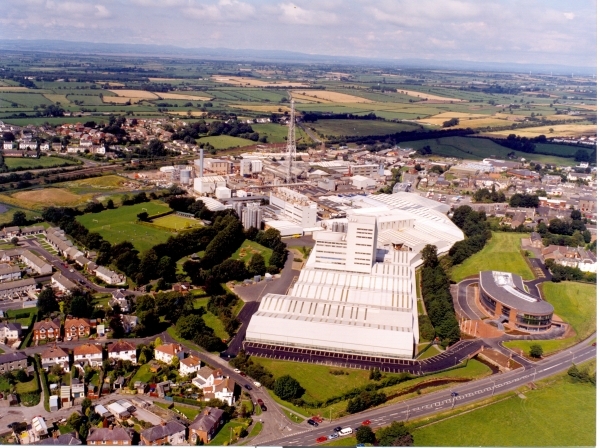 Increasing its strategic focus on high value add and differentiated films with world leading technology, it divested its legacy cellophane business earlier this year while making significant growth investments over the last 3 years, including a state of the art new facility to produce polymer banknote substrate in Cumbria.